The demand within the global market for micro combined heat and power has been rising on account of the need to expand the energy production margin across the world. The use of micro combined heat and power to supply electricity to houses and commercial units has emerged as a key propeller of market demand in recent times. Commercial buildings have become an important asset for the economy of several regions as they accelerate the growth of businesses. Hence, there is a dire need to ensure regular supply of electricity to these units that may be located in areas away from the fore of cities. Furthermore, supply of electricity to houses or the residential sector is a barometer to measure the quality of life in the corresponding regions. Owing to the aforementioned factors, it is safe to predict that the global market for micro combined heat and power would continue to expand at a starry rate in the years to come. The global market for micro combined heat and power may be segmented on the basis of the following parameters: capacity, fuel, prime mover, application, and region. Owing to the explicit nature of the energy sector, it is essential to understand the aforementioned segments within the global micro combined heat and power market. A report on the global market for micro combined heat and power lays value on the dynamics that fuelled the growth of this market in recent times. Furthermore, the need to optimise energy across the world and its influence on the global market for micro combined heat and power has also been explained in the report. The demand within the global market for micro combined heat and power has been rising due to the effectiveness of these systems in supplying electricity to the residential sector. These systems ensure that the excessive or waste heat from natural gas is also utilised towards generation of electricity. This energy-saving feature of micro combined heat and power systems is expected to keep escalating demand within the global market. However, the inability to transport heat over long distances for the fear of unbearable heat loss has put restrictions on the growth of the global market for micro combined heat and power. The use of micro combined heat and power for cooking, water-heating, and lighting has been propelling demand within this market over the past decade. Furthermore, commercial applications such as heating or cooling of office spaces, buildings, or educational institutes through micro combined heat and power systems has also generated demand within this market. The market for micro combined heat and power market in North America has been rising on account of key advancements in the energy sector across the US and Canada. The need to minimize carbon footprint and find viable ways of energy production and supply has played a pivotal role in the growth of the regional market. It is expected that the demand for micro combined heat and power in Asia Pacific would also expand as energy-efficient technologies become popular across India and China. 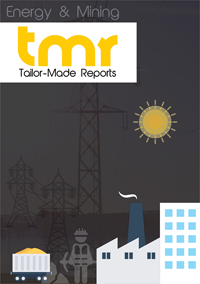 Some of the key players in the global market for micro combined heat and power market are Yanmar, Marathon Engine Systems, Vaillant, Viessmann, BDR Thermea, ENER-G Rudox, 2G Energy AG, AISIN SEIKI, Samad Power, Siemens, General Electric, and Veolia.